As a Sainsbury Fellow in the spring of 2014, I conducted intensive research about the history of Japanese comics (manga) in the 1950s and 60s. This was an era that witnessed the development of many of the genres and styles that define Japanese comics to the present day. It was also the period in which comics became truly a mass culture in Japan, coming to absorb approximately 40% of the publishing industry by the early 90s. Having come out of a background studying avant-garde art, my interest is particularly in work that challenges aesthetic and social norms. As a Sainsbury Fellow, I was focusing on the work of artists like Hayashi Seiichi, who crossed comics with New Wave cinema, and Shirato Sanpei, who used the medium to narrate repressed histories about social outcastes and peasant struggles in Japan’s past. Sainsbury Institute generously supported Hayashi’s visit to London and Norwich in June of 2014, where he gave a series of talks about his experiences in the manga and animation industries, as well as his thoughts on the relationship between manga and traditional Japanese art history. 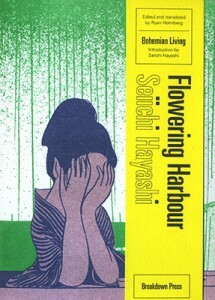 In collaboration with Breakdown Press in London, to commemorate the event we also published an English-language edition of one of Hayashi’s works, titledFlowering Harbour (1969). Though I have since relocated from Norwich to Mumbai, my work with the Institute continues. Not only do I frequently publish online essays related to my research as an Academic Associate of the Sainsbury Institute (semi-monthly on the website of The Comics Journal), but the Institute is sponsoring a series of translations of important manga from the past, published by the same Breakdown Press. 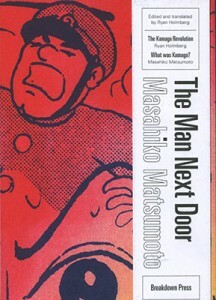 In October, timed to coincide with the exhibition “Gekiga: Alternative Manga from Japan” at the London Cartoon Museum, the first volume in this series was published: Matsumoto Masahiko’s The Man Next Door, a collection of influential detective stories from the mid 1950s. This spring, two more volumes will come out: a collection of Sasaki Maki’s experimental comics from the 1960s, dealing with such issues as the Vietnam War and the radical student movement, and Katsumata Susumu’s short stories from the 1980s about the so-called “genpatsu gypsies,” the casual laborers employed to clean the interiors of Japan’s nuclear reactors. The latter volume will commemorate the fourth anniversary of the meltdown of the Fukushima Daiichi Nuclear Power Plant. In February, I will be doing talks in Mumbai and Delhi related to this book. The Sainsbury Institute is mainly known for its support of traditional Japanese arts and crafts, or the fine arts in the modern period. I was pleasantly surprised when they first agreed to host me as a fellow, and I think their support of the translation series is doing a great service to the field of Japanese cultural studies. 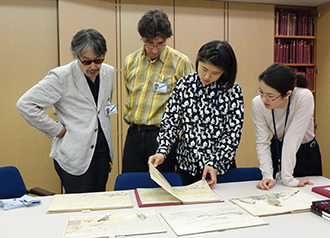 For those who know Japan intimately, there is little doubt that manga has been an essential part of the country’s culture since World War II, though this is hardly reflected in how Japanese art history is represented in universities or museums. I hope that our on-going collaboration will help educate people to the power of the medium as an artistic art form as well as a social tool. And since I am based in India, I am also hoping that it will lead to cross-national opportunities in a part of the world where appreciation of Japanese culture does not have deep roots. Copies of The Man Next Door are available for purchase through our publication page.